The DOL is the business and professions regulatory and law enforcement agency mandated by the legislature for the protection of the public. 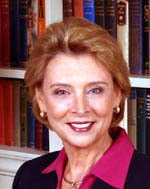 In March 2005, Governor Gregoire appointed Liz Luce Director of the Department of Licensing. The governor also appointed three (3) Windermere licensees to the Real Estate Commission (Cate Moyé, Dan Murphy, and Jeff Thompson). We made a telephone query to the Washington Department of Licensing. Without mentioning the name of the real estate agent or the agency, we described what had happened to us (case summary). Karen Jarvis, Program Manager, Real Estate Regulatory and Enforcement Unit, Business and Professions Division, told us that a real estate agent is perfectly entitled to run whatever business he wants in addition to his real estate business. We sent our written complaint to the Department of Licensing with all the facts and supporting documentation available at that time. Lynnel P. McKnight of the Department of Licensing sent a form letter requesting more information and documentation. DOL solicited various documentation and statements from Stickney and Windermere. Sandra Spencer, Investigations Manager of the Department of Licensing, Real Estate Unit, announced the findings of the investigation: "After examination of the documents and information available to us, we have determined that the evidence does not rise to the level to support the issuance of charges against Mr. Stickney's real estate license." We queried the DOL on its findings: Did they consider the facts? Did they consider the laws that were broken? Sandra Spencer, Investigations Manager of the Department of Licensing, Real Estate Unit, wrote to explain the findings of the investigation. We understood by her language that the DOL lacked sufficient resources to pursue prosecution at this time. However, given the decision of a court of competent jurisdiction, DOL may reopen the case. We wrote to the DOL announcing the verdict and judgment of the Superior Court against Paul Stickney and Windermere. Now that a "court of competent jurisdiction" had spoken, what would DOL do? We received a letter from Karen Jarvis, Program Manager, Real Estate Regulatory and Enforcement Unit, Business and Professions Division, Department of Licensing. Jarvis reargued the case from Windermere's playbook, and stated that "a violation of the Consumer Protection Act is not a violation of the Real Estate Licensing Laws." How could "unfair and deceptive practices" (to quote the Consumer Protection Act) not be a violation of the Law of Real Estate? We wrote to Liz Luce, Director, Washington Department of Licensing, protesting DOL's decision to find nothing wrong and take no action. Luce did not reply. Lee Malott, Administrator of Real Estate Programs, answered our letter on behalf of Luce. By coincidence, we were already familiar with the work of Malott through the Gary Kruger case. We wrote to Mr. Malott asking for some vital statistics concerning DOL's dealings with Windermere. Malott did not answer. We wrote to our Washington State Senator, Rodney Tom, asking him to help arrange the filing of a Writ of Mandamus against the DOL to force them to apply the law to the real estate industry. By coincidence, Tom is a licensed Windermere associate broker. We wrote to Washington Governor Christine Gregoire, telling her that the Department of Licensing has bunked in with the Windermere law-breakers, making the DOL a part of the syndicate. We provided a list of cases showing DOL's record of past conduct. We wrote to Gov. Gregoire, surprised that John Jacobi's power extended all the way to her office, and reminded her that it was not nice to give our letter to the object of our complaint (DOL) to answer on her behalf. When Elliot Ness received documented reports that Al Capone wasn't paying his income taxes, did Ness turn the reports over to Capone so Capone could answer the charges? Carol DeCoursey spoke by telephone to "Cheryl," one of Gregoire's assistants. Cheryl refused to give her last name or her email address, admitted having the April 22, 2009 letter and Osgood's response, but told Carol emphatically that Gregoire "stands behind the DOL." At the Windermere Cup event, victims of Windermere distributed the May 7, 2001 Washington Messenger flyer, "Legalizing Crime in Washington: The Windermere Prototype." The pamphlet explains how the Department of Licensing is violating its mandate and endangering consumers by licensing criminals and scofflaw corporations. We focus on the help his office gives the Department of Licensing and Windermere. Liz Luce, the embattled director of the Department of Licensing, announces she is stepping down at the end of June. Ms. Luce says she wants to spend more time in her home town. We are surprised at Washington government's flagrant disregard of Washington law. In our case, Paul Stickney was our DOL-licensed real estate agent, and Windermere our licensed agency. Stickney/Windermere were found by the jury to be in violation of the Consumer Protection Act. With the blessings of Gov. Gregoire and Licensing Director Elizabeth Luce, Karen Jarvis of the DOL has decided that "a violation of the Consumer Protection Act is not a violation of the Real Estate Licensing Laws." Readers of this page will also want to learn how the Attorney General of Washington, Rob McKenna, aids and abets DOL's flouting state law. Readers may also be interested in the depth of penetration Windermere has achieved in the state government. Our state senator, Rodney Tom, is a long time Windermere associate broker. We have asked Tom to look into the DOL problem for us, and he answered with a telephone call. We tell about that call on the Rodney Tom page. Unfair competition, practices, declared unlawful.